UPDATE: Bit a Bliss will be featured Tuesday, January 19th on Groupon. 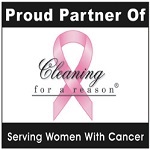 Bit a Bliss Cleaning and Maid Service will be featured on www.groupon.com/dallas on Monday, January 18th. It’s a great deal, 3 rooms for $30! Check www.groupon.com/dallas often for other great deals in the Dallas area.